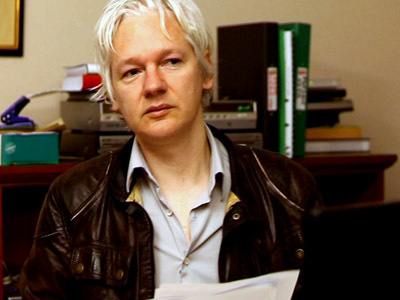 Controversial whistleblower Julian Assange interviews two prominent Arab Spring figures, Egypt’s Alaa Abd El-Fattah and Bahrain’s Nabeel Rajab. They spoke about fighting against oppressive regimes and what should come in their place. ­Both activists faced reprisals for defying their regimes: midnight kidnappings, beatings, and imprisonment. El-Fattah is currently banned from traveling and is facing charges for allegedly damaging military property, stealing weapons and even murder. 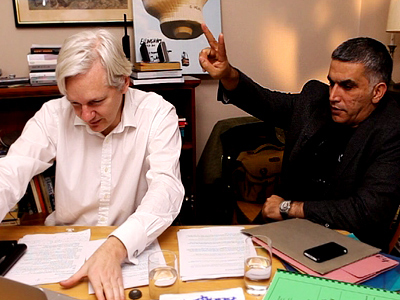 Rajab was arrested on May 5, just days after appearing for the recording of Assange’s show. Both say they will not give up. The so-called Arab Spring, which swept across the Middle East and Northern Africa last year, is far from being over, they say. “Unfortunately, we are in a region ruled by families, dictators, since the 10th [century]… But their strength comes from the wealth, from the Americans' support, from the armies they have, and from no legitimacy from people,” Rajab says. “Maybe in very few years the whole region's going to change… Those governments who will resist changes, I think the tsunami will move them… remove them from their seats… Those governments who are smart enough to have a relation with the people rather than those dictators, I think those will benefit. Changes… I'm very optimistic that changes are going to happen in our region, positive changes,” he added. Yet there is no clear vision among protesters about what will come in the place of the current governments. “There is no articulation of what that dream is. It's certainly not a boring Western representative democracy where your nation could go on a war, like the UK went without consent of the populous; where electing the president who promised hope is almost exactly the same as electing the president who didn't promise hope as happened in the US… The dream is a democracy that doesn't give rise to Occupy Wall Street and Occupy London and the Greek riots, and so on,” El-Fattah explains. The activists also spoke on the perception of their country’s turmoil abroad and how it differs from what they see on the ground. There is a “battle of narratives” in the media coverage. For example, Egypt’s uprising against Hosni Mubarak’s rule was branded as the “Twitter revolution” in the West, but it is an oversimplification, says El-Fattah. In the case of the Bahraini revolution, local activists are facing a boycott from media outlets like al-Jazeera and al-Arabiya, Rajab says. That’s because both TV channels are based in Sunni Muslim-dominated countries and Bahrain has a Sunni Muslim ruling family. 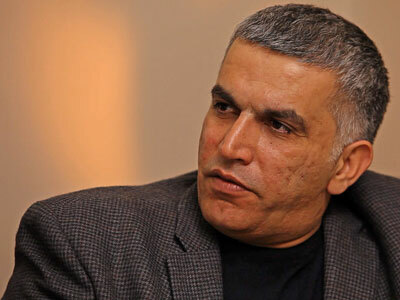 “Yes, Saudi didn't want democracy; yes. Qatar, which want to promote democracy in Syria and other parts of the world but they don’t want democracy in Qatar,” he said. On a personal level, the activists explained how their families cope with their opposition to their respective governments. “My daughter, she is nine years old, and my son just become 14 years of age. I mean, he used to take part with me in each and every protest since he was five years old, and so my daughter – she never liked human rights and politics and nothing like that – but since I was kidnapped and beaten in front of her, she’s become a radical now and an activist, and my wife also,” says Rajab. 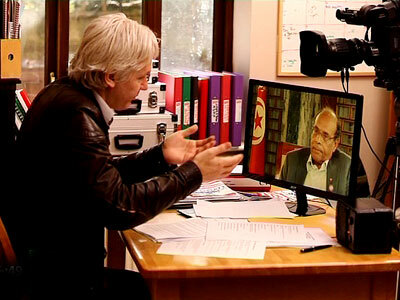 El-Fattah explains that even if he did not want his family to have any part of the strife, that option was simply not possible. “When you have repression, the violence is so random that it's going to affect you anyway. The injustice is so random that it is going to affect you anyway. You cannot guarantee, you know, a good life for your child unless you guarantee it for every other child,” he said. Watch the full version of the new episode of the show at Assange’s World Tomorrow page live on RT.